Lead generation is the lifeblood of your business. Postlead was designed to simplify the process for you. Postlead was designed by marketers for marketers, and for those in closely related industries. The marketers at at Postlead have more than 35 years of combined experience. As a business professional, you must ask how Postlead can help you change the game in your business? One of the key components of building your business is by creating a list. Those working with Postlead have worked on a creative strategy to help you get the most from your list. Having a system in place that generates leads is crucial. Your operation starts with understanding how you can get your name in front of prospects. Postlead helps you build the foundation for your business by helping you generate leads in a way that makes sense. Postlead is a direct mailing tool combined with the power of digital marketing. A massive team of people is not required for you to generate leads via direct mail. Using a tool like Postlead can simplify the entire process. Just put Postlead to work! Postlead is an automated system that will deliver your hand-written postcards to prospects. The key to using Postlead is to have a goal in mind. Why is Postlead Effective for Small Business Owners? 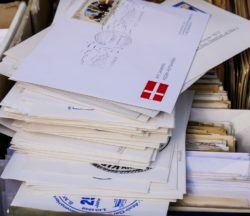 One of the biggest challenges with direct mail in is that it was not targeted to a specific audience. Postlead removes this challenge by helping you make it personal for your ideal customer. The tracking feature of Postlead allows you to view the stats on your greeting cards and postcards. Reports are available for every contact on your list, and you can easily follow-up on the prospects who appear promising for you. Connecting with your prospects is important, and Postlead makes it easy for you to follow-up. Postlead allows you to be creative and to craft a personalized message to each prospect. You can send that perfect personalized message to every contact in your customer mailing list. When you can analyze your customer and their behavior in regards to your messages, you'll be able to see how effective Postlead is for your small business. Choosing Postlead puts you in full control of your business. You can try it for yourself for free with no hassle. Contact Postlead today to generate more leads, and gain more prospects.